Home»Just Hungry reference handbooks»Cooking courses on JustHungry.com»Courses for 2013»Japanese Cooking 101: The Fundamentals of Washoku »Japanese Cooking 101: Final thoughts, or what was the point? Submitted by maki on 2013-05-23 21:48. Maki, you know it is the same everywhere. People in the statesdo the same thing, but one doesn't need or want to take lessons on how to mix instanttbpudding and a cake mix for a wonderful dessert. Thank you for leading those of us, who wanted to learn. And don't get me started on hijiki, mirin, tamagoyaki, lotus root, chicken karaage, or any of the other wonderful things I'd never have dared to pick up or try without your guidance. Anyway, haters can hate on. You are fighting the good fight! Doing stuff as fresh and as from scratch as possible is always the better option, if you have it! I loved both courses you've recently done and most especially appreciated the "cooking from scratch" fundamentals. Even if I could find mentsuyu and the like, I much prefer knowing exactly what I am cooking with and eating! There will always be critics, even with your best intentions. I usually don't comment - but am a huge fan. I DO like to cook meals from scratch, and have made your beef curry many times, different variations of 'teriyaki' dishes using your ingredients as a springboard, and others. Please carry on as you are. Your site is wonderfully informative, useful, and my family has enjoyed many a delicious Japanese meal, thanks to you. I'd like to thank you for doing the japanese cooking 101 series and I hope that there will be a part 2 as I really enjoyed every dish. Besides, you can't please everyone and, you responded very thoughtfully to the negative reviews. one of the biggest problems that bloggers face is the heckler/bad attitude/self-declared critic. while it is easy to say "ignore them", "they don't know what they're talking about", "there is always at least one on the bunch", etc - ignoring these types is something easier said than done, especially for someone raised with traditional japanese values. as hard as we may try, we can never please everyone. i have mentioned before, and mention once again, how truly grateful i am to you for your blogs and articles that you contribute to. as a woman who loves to cook, who loves her japanese heritage, who believes in the importance of what joy in the kitchen can add to our lives and the bonds that home cooking and food can create - having someone who willingly, lovingly and painstakingly takes the time to explain step by step and with great detail how to create the wonderful and delicious home-cooked, home-style foods of japan - means more to me than i can say. your recipes have assisted me to recreate dishes that my mother would make at home in the way i was taught to cook - by scratch. my mother never wrote recipes for japanese cooking - she never measured anything with traditional measures - it was all done by sight and taste.the kitchen is where i spent the most time with my mother - where we communicated by doing rather than by words. my mother cannot tell me or show me how to prepare this or that any longer. (she has advanced alzheimer's disease) for me to be able to prepare and take a dish to her that she recognises as a part of her life and enjoys is monumental. there is little that she is able to recognise these days (including me) - so to be able to provide her with a comfort food from her home country is the way i try to demonstrate my love for her and my respect for her and my thanks for her. without your assistance my efforts would not be as strong. so maybe there are people out there who want semi-homemade style recipes with lots of pre-made store bought ingredients. as far as i can tell, you also offer up those "alternative" ingredients in mentioning them for those who do not have access to some of the standard stocked cupboard of japanese ingredients (or those who just cannot be bothered with true home cooking). for me - that is not "cooking". it brings me no joy or sense of accomplishment to open and pour a bottle of mentsuyu or a package of "just add hot water" miso soup. they may taste okay to some - but the love is definitely missing. these blogs, articles, recipes - are about YOU, about YOUR kitchen, about the way YOU approach food and traditional cooking. they stand as a written testament to every person in YOUR life who influenced your cooking style and abilities. and more so, as a testament of the love you have for these things and your generous and genuine desire to share your knowledge and your HEART. please keep doing what you do best - and do it YOUR way. doumo arigatou gozaimasu for all that you do and all that you have enabled me to do. That's funny that people are criticizing you. My boyfriend is Japanese, living in the states, and he makes his dashi from scratch, and since we live in the middle of nowhere he makes a lot of his own sauces too. (In fact miso is the only thing I'm allowed to make when I'm being his sous chef) I just got back from meeting his parents (in Japan) and his mom cooks that way, too! The point is, your lessons were valuable. I loved going to the Japanese market with my little list (took me two hours, and I had a blast! ), and my cooking has improved from your input. 1) What's up with people whining about a free class? Holy crud. Gift horse, etc. 2) Authentic? What the heck is that, anyway? Things are what they are, take it or leave it. The arrogance of someone deciding you aren't "real Japanese" is... astounding. I think that kind of opining can be dismissed handily. So, thank you. I love your blogs. Your recipes are heavily represented in my personal "go to" recipe collection. I'm pretty shocked that people would criticise being taught authentic, from scratch Japanese cooking. Surely knowing the basics first is essential, no? - the building blocks of cuisine have to be learnt. I have certainly really appreciated all your efforts. Thank you for a wonderful and very valuable course! Maki, please ignore the critics. Thank you for teaching us to do things the traditional way so at the end we have a quality product. I only took the time to leave this comment because I hope that you won't change your style to suit others. I've actually just read about this topic last night in Shizuo Tsuji's, "Japanese Cooking: A Simple Art". It seems he was battling the same issue, in 1980 even... that there are great benefits to making things yourself, to which convenience foods cannot compare. Mr. Tsuji took it upon himself to write this book because he saw a need for both the young Japanese and the rest of the world to get back in touch with the roots of cooking, and preserve all that is good & wonderful about cooking as a skill (not an assembly of pre-made products). Things such as buying ingredients according to the seasons, and appreciating food in a simple, unadulterated form... do we really want to lose & forget them?? I agree with what you pointed out here. I just don't understand why someone who doesn't like your style of cooking is reading your blog. There's plenty of blogs out there, they surely can find one that adjust to their personal style. I really appreciate the lessons and recipes in this blog, I've learned a lot from you. Thank you so much for all the time you put in to this course! I have been teaching myself Japanese home-style cooking for years, mostly from youtube videos and less-than-perfect cookbooks which are written with the assumption that you can't get things like dashi and cooking sake and are meant to copy popular restaurant style food. Your course has been one of the single most helpful resources I have come across. I love that you focused on basic skills like rice and dashi, and your insistence on doing it the proper way is much appreciated. I can get dashi granules and the like but they simply don't taste as good as the real thing! One thing I would love to see is a list of combinations for things like miso, nimono, sunomono etc. I have already been experimenting a bit with different vegetables and ingredients but would love to know some popular Japanese combinations! I'd like to share a tip for any other Australians looking for Japanese ingredients - try Korean grocery shops. Often they will have the same ingredients like konbu, glutinous rice flour, microwave packet rice etc. but much cheaper than the specialist Japanese grocers. They will be Korean brands, so you have to know what you're looking for but I find the quality and taste is just as good. Thanks again for this great series! "One person even opined that I was not a ‘real Japanese’ because I didn’t cook like ‘the Japanese people I know in Tokyo’ or something like that." Apparently I'm not a "Real American" because I've made marmalade from scratch, made my own bread, and think the best made cakes are not from Duncan Hines boxed mixes. My mother makes her own stock (ham/chicken/turkey) rather than get it from the store, despite how long a process it is. You'd think, in this age of natural thinking and trend of going back to traditional cooking, where artisan small-batch producers and growers thrive, you'd be criticized if you highlighted the use of instant dashi rather than the traditional method. Stay strong Maki, the internet is a confounding place. I want to thank you for what you've done on this 101 course! People really got shirty with you about this? What a bunch of butts! Smelly ones. I've loved this course and I thank you a million times for it~! I've even sent the link to gaikokujin friends of mine in Japan who want to learn how to cook Japanese food in a more traditional way in order to impress girlfriends/mothers-in-law/husbands, and they've really loved it. So thank you! I've followed your blog for years and currently live in a rural town in Shimane prefecture! Thus I can say with lots of confidence that PLENTY of people still cook the way that you were kind enough to demonstrate in your lessons! I really enjoyed them because they helped cleared up some questions I had and shed some light on some things I had seen in the local cooking class I attend! Thanks so much for putting the effort into such a wonderful series and for all the work you put into your blogs! Thanks to you, even after I return to my home country I'll still be able to continue cooking the food I've grown to love! Thank you and take care! Thank you for the lovely cooking course. Even at restaurants, I understand what I'm eating much better now because I know what went into it. Don't feed the trolls. You'll save yourself many a headache. I really appreciated the course. I'm a new Japanese cook with students to feed and I love learning to cook new food. Having your instructions and advice helped me so much. Thank you. Maki, I am very sorry to hear that you received any negative feedback from the 101 course :( I, too, have learned so much from your recipes and I agree with so many of the supportive comments here. There is something so special about making items from scratch that pre-made/pre-prepared ingredients cannot capture. You do such a wonderful job explaining why certain items are prepared certain ways and some of the science behind it. We really appreciate that time and effort that you put into your blog posts. I also agree that a Part 2 of Japanese Cooking 101 would be wonderful if you find the time to do it! Thank you again for helping us learn so much! I have gone "back to basics" with my regular cooking and I see no reason I should not do the same with other cuisines. My heartfelt thakns to you, Maki for making it possible for me to learn technique. I love your blogs and thanks for the time you spend teaching. Thx for your lessons, learn to cope with it, you can't please all the people all the time, but the greater followers love you and you way of writing, I lcan't wait for your next blog. We're all a bit annoying sometimes. Love your blog. You have prettier and more detailed photos than anything I've seen in Japanese . People are not aware of the dangers of processed foods. The more convenient, the more health damaging. I love Japanese foods but I cannot even eat them without consequences. My body only feels good when I eat fruits and raw vegetables. I love reading your posts though. I can only speak for myself. Maki, I love, I mean really, really loooove your blogs. A long time ago, looking for a full time job besides my college days I started washing dishes in the first japanese food restaurante in my city. At first I was very esceptic about that strange, diferent flavored food, but eventually I fell in love with it. Later i was promoted to sushi bar helper, and years later to sushi chef. I'm not cooking for money anymore, but all this years I had been trying to learn and reproduce the japanese style in my kitchen. I've learned a lot from your blog, and apreciate the time anda effort you invest in it. In Mexico we have a saying: "No soy monedita de oro para gustar a todos". (I am not gold coin to please them all). Keep going Maki, you're doing very very well. Love your blog and thoroughly enjoyed the recent episodes. Now I have to look back and find your beef curry. A favorite of my Osaka husband. oh maki, there's always gonna be detractors for everything. just know that i LOVE reading your blogs and thanks so much for this course. even though i haven't been able to make any of it, i know i have a reliable source of information on making delicious japanese food when i do eventually get the chance. you have the best pictures and write simply and easily understood so thanks for all your effort. please know you are deeply appreciated, you and your tremendous efforts to make japanese cooking something attainable. did u draw that picture? it is sooo cute!!!! Well I think your lessons were just awesome! Thank you. I've made most of the dishes you went over before reading your blog, but was delighted to read your detailed descriptions of ingredients and thoughtful instructions. I learned quite a lot. Even basic cookbooks in a cuisine one did not grow up with can leave even an experienced cook scratching their head wondering if they bought the right ingredient, or how to prepare it for the recipe. Your posts clear up all those questions, every time. You have a talent for anticipating what someone new to Japanese cooking will really need to know without being overwhelming. Thank you and I hope you continue to post such wonderful information. 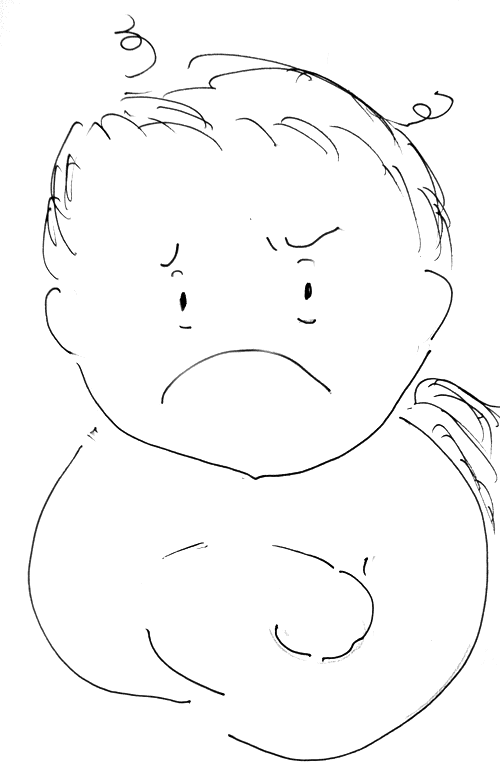 Your drawing says it all: nasty comments hurt. Your talk with us today should be cathartic for you since it has let you "vent" about the few negatives you received. Behind each good commentary are hundreds of others who wholeheartedly agree with it but don't add their own comment saying the same thing. I'm one of those. But for the negative ones, there's only that one person. This odd negativity occurs all over. I write comments for TripAdvisor when I'm pleased with a service, location, restaurant, etc., in my travels. It's stunning to see another's comment on the very same place, written within a few days of my comment, but which slams: their food was burnt, mushy, terrible service, and so on -- usually at length. Sometimes their vitriol is repeated by two more "separate" nasty comments, most likely from people they know. Piling on. A longtime friend, a real estate agent handling vacation rentals, was slammed by a few incredibly bad reviews. She answered with her side of the story, which only gets her into a bigger mess with them. The commonality with you and her is the hurt these comments cause. Kathryn/Kazuko's comment above says it all. Keep hers in your heart and let its song drown out those few bad eggs. And, yes, I have learned a lot from your cooking series. Thank you. Let me open by saying that I thoroughly impressed a number of my students (I teach English in a community college) from Japan when I shared with them the fact that I can now make a wicked dashi, a lovely miso soup, really-pretty-impressive sushi rice--ALL FROM SCRATCH. I'm pretty proud of that. I am also fortunate enough to live two miles from a Mitsuwa, so I can get all of the ingredients easily. Of course there are shortcut methods in all developed (?) countries. I have friends who pop a Lean Cuisine in the microwave, wash off an apple, and announce they have "cooked dinner." I would argue that that is not really cooking. Well, yes, it is heating/cooking, but it is not what one imagines when the word "cooking" is spoken. I learned to cook because, frankly, my mom was not a very good cook. She was from the TV dinner, canned tamales (ugh), Chun King packaged Chinese-like food generation, and I loved making spaghetti sauces from fresh ingredients. Actually, SHE loved when I cooked for the family. Ever since my daughter got me a bento box for Christmas, and I took the Bento 101 class, followed by this class, I have been energized to learn more. A simple sauce made from soy, sake, mirin, sugar, dashi turns a simple stew into something amazing. Your class was a great gift to me. Hi! I just wanted to let you know how much I enjoyed your articles. My mother was Japanese and a great cook. Unfortunately, I never learned to cook much Japanese and now that she is dead I would have given anything to have taken the time to learn from her. All the cookbooks in the world do not help. But you have. Please, please keep up the good work. And thank you for everything. Hi Maki! I've been following your site for years, and I adore your style and choices, well done! Don't worry about the criticism, Maki. What you are doing is amazing AND it's free. Here in my corner of the world, we are surrounded with fast food, convenience foods, and prepackaged everything. For my family, I cook with the most basic ingredients I can find and make snack foods from scratch. I didn't make it all the way through your 101 course, but what lessons I learned were fabulous, tasty, and easy. My family loved the miso soup which tasted nothing like what we get at local 'high quality' Japanese restaurants. It simply tasted delicious, healthy and homey. So on behalf of all of us who believe in real, good tasting food, THANK YOU! I'm astounded by the negative feedback you received, but not surprised because it is unfortunately all too common. I may only say that it has encouraged me to say what I have been thinking ever since I came upon your cooking course here, which is that it is the only course of its kind that I have seen anywhere, online or in my area. And I'm really grateful to you for it. Because of my diabetes I've had to go low carb, so admittedly I cannot really participate because of all the rice. But traditional Japanese food has a huge place in my heart and I can always dream. Thank you for sharing your knowledge. I actually had to laugh when I read this post. You are so so so right when it comes to cooking REAL Japanese food. Everywhere people are taking the "instant" route and then have the audacity to say "it's homemade." I am a Caucasian who happens to teach Chinese cooking. I often remember the time when I worked in a Chinese restaurant customers would come up to me and say, "Well you can cook Chinese but you will never really cook like a real Chinese." In fact many were puzzled as to even why I was cooking Chinese! One of the things I truly love about your blog is that you teach REAL Japanese cooking. As the saying goes, "Don't let the bastards get you down." I haven't had time to do the course yet, but know enough about japanese food to know you made it easy as well as authentic. Both priorities for me, much of the time, with ingredients I can get or substitute. Thank you so much for putting together both courses! My only complaint is that the course isn't longer! But maybe that will be your next book...fingers crossed! I am a third generation american japanese who cooks in the way you have taught. Maybe not daily, but I still use these methods. I was raised this way. So some people still cook this way! Globally, we are fast food consumers, even in Japan. I've been "lurking" in the shadows of this website for years, first while I was dreaming about Japan as a college student with a growing interest in Japanese life, and then relying on it as a lifeline when I first moved here (I live in Okayama prefecture) and was trying desperately to figure out how to eat and not break my bank on expensive imported foods. I've never stopped to say thank you for all the wonderful recipes you've supplied me with over the years, and particularly how the descriptions of ingredients in English and Japanese have helped me learn to navigate my Japanese grocery store. You are right to say it is a battle to present the traditional, slow, old-fashioned way of doing things; and to say that it is BETTER, it is WORTH pursuing, well, that is a battle cry for some. But it is a battle that is worth fighting for! After moving to Japan I realized how much I had been relying on convenience food, to the detriment of my health. Your site has helped me relearn the art of home cooking (Japanese AND American) and about how much can be gained by rejecting the convenience foods. I'm sorry I've never stopped to say thank you in the past, but I hope I can make amends by saying that what you have done through the Washoku 101 course and through Just Bento/Just Hungry in general has been incredibly valuable work, helping me and thousands of others discover the wonder of Japanese foods. So, don't let those haters get you down. You are doing amazing work and I am just one of many, many grateful hearts! Take heart, haters will be haters. I love and enjoyed your recipes and articles. I loved the course and got heaps out of it. The best thing was that I now feel confident to make miso, seaweed salad and sushi for my Japanese friend. That was a real bonus because she is a bit homesick. Without your course I wouldn't have been able to do that for her so I am very grateful. Thanks for the course Maki! I lurked in the background absorbing things like a vegetable in Nimono absorbing its dashi-based stock. Many things I knew already thanks to my lovely wife (and of course loyal reading of your blog), but many nice tips and differences helped expand my knowledge. Looking forward to the 102 course! Thank you so much for offering the course. I did not do any of the classes, but I did read all the posts. They were very educational. You are a terrific instructor. Maki, please ignore the shortcut people who want instant everything. I have loved Japanese food for years and finally , I am able thanks to you to begin to duplicate the food I ate in college when I was the go to person for all the Asian students in my dorm. The shortcuts just are not the same for flavor or texture. Thank you, Thank you! For sharing with us. Do put a sidebar on your blog with your lessons so I and my DILs can find them when we get around to doing the lessons.I have the list and have plans to visit the oriental market as soon as one of the DILs can take me.Middle DIL made an elaborate Japanese-style for middle Son and me as a thank you for me minding Little Grandson overnight.She used instant dashi for the soup,which was a reasonable thing,since she was making several things from scratch that i dearly love. I'm going to ask her for the brand name of the dashi she used,but still want to learn how to make it from scratch!Not to mention I want to make the whole meal you designed for both Youngest and Middle Sons and their Good Ladies,who dearly love Japanese food and culture! Wish me luck! Its a crying shame when we live amongst people who live for the short cuts in life. They miss out on the special hidden flavors of our cultures, tastes, and humanity. I am very glad you have taken this approach in food - a sensei. I live for a yummy meal and the essence of the small bits of knowledge you take with you with every bite. I'm surprised you received any negative feedback at all on these classes- they are wonderful! I adore the recipes on your websites, and this has been the best explanation I have ever found on the structure of a japanese meal. I only hope you do not count my comments regarding the book review you got as part of the criticisms upsetting you. What you are doing here is wonderful, and you are the most informative/reliable source of Japanese information I've come across. You're the genuine article- a real gem! I thought the course was BRILLIANT. I didn't have the time to actually "take" it, but I was paying attention. I'm sorry that people felt it necessary to gripe about the authenticity of what you presented. Other commenters here have articulated very nicely what I feel, so I won't repeat what they've said. However, I will take this opportunity (as one who doesn't comment much), to say that I find both of your sites incredibly useful, and I love all the additional information that goes along with the recipes. Just one example, your tutorial on how to make sushi rice (well, how to make Japanese rice, for sushi or not) is invaluable. I am always interested in the history behind a technique or ingredient, or the reasoning for doing something a particular way. The more I know the better I cook! I'm one of those long term expats (Canadian) living in Japan, thx for the shout out! I absolutely love your site and have been following it for many years. Have also recommended it to many friends back home in Vancouver. Even tho I live here I could never have maneuvered myself through the numerous foreign ingredients here without the help of your blog. I'm a strong believer in cooking from scratch and as naturally as possible. So many of us support your traditional methods and appreciate your writing! Look forward to many more years following you. I, for one, am EXTREMELY grateful for your from-scratch lessons. My significant other is a celiac so we can't buy very many pre-made sauces, so your blog is a godsend as we tinker with them to make it gluten free(which honestly usually involves just replacing regular soy sauce with GF soy sauce). Maki, I absolutely agree with everything you wrote. I loved your lessons and I have to say - I enjoy using miring, soy sauce, sugar,… one by one to create tastes WAY more than pre made stuff. I have a few pre made broths and causes, but honestly speaking they always make me wonder what they consist off… nevemrind that pre-made teriyaki sauce doesn't even come CLOSE to making your own! And it's not THAT much of a brother to just mix together 3-4 ingredients, is it? So many loving (and truthful!) comments have come before me that have expressed well all the wonderful benefits we've received from you Japanese Cooking 101, so I don't be too repetitive but, because I feel so strongly about it, I had to put in a few comments too. My fascination with Japanese cooking started when I lived in Hawaii many years ago and had a Japanese roommate. I am fortunate that I live near a large university with many Asian students so that there are plenty of grocery stores with Japanese ingredients. I am passionate about cooking REAL food, no matter the ethnicity and you (along with a cookbook by Hiroko Shimbo) have been instrumental teaching me fundamentals and inspired me to learn Japanese cooking techniques so that I may cook more healthfully for myself and my husband. With a solid base of basic techniques and recipes, I can now listen to and be inspired by the ingredients and begin to either create my own recipes or rift off of ones that you have shared. Cooking from scratch, with fresh ingredients IS cheaper and more healthful way to cook and eat. I ate bento all of the time as a student but it was always take out from a local restaurant. Now, thanks to your help and tutelage, I can proudly MAKE MY OWN and they are so healthy and less expensive than eating fast food. Thank you so for everything that you have done! Before reading your blog, I'd read a lot of Japanese recipe blogs. I downloaded recipes off the Internet. I tried so hard to make Japanese rice and failed each and every time. My other Japanese recipes went the same way. Since starting to read your blog a few years ago, within a week I mastered Japanese rice (I learned that I'd been buying the wrong rice, and I'd messed up the rinsing part), learned how to make tamagoyaki, and dozens of other Japanese recipes. I've never seen another blog that goes into as much detail and depth about how to cook Japanese food before. I just wanted to say I really appreciate it. I couldn't give a flying rats behind whether you cook like a Japanese girl I know in Yokohama or a housemother I know in Hokkaido -- all I know is that you should keep up the good work. 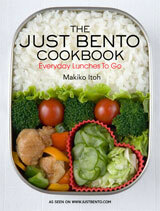 Hi Maki, I visit your site very often, and greatly enjoyed Japanese Cooking 101! Even though I have a basic working knowledge of Japanese food, the tips and hints on how to cook a proper Japanese meal were deeply appreciated. As for the detractors, everyone is entitled to their opinion, I suppose; but the truth is the anonymity of internet comment boards does tend to bring out the most combative in people, so you really shouldn't sweat about the criticism. And specifically on the "Japanese people no longer cook like this" argument, I feel this serves not as criticism of your lessons, but of current Japanese dietary trends, specially for young people, who seem content to spend their days microwaving styrofoam cups filled with instant noodles and MSG than taking the (relatively minimal) time and effort to prepare even basic foods from scratch. Hope to see more posts soon. Greetings from Brazil! Your blogs are refreshing in how you try to cater for a large audience - no pretentious "you must use this salt that's been farted by unicorns under a full moon - beware of other moon phases", etc. I now know first hand as an expat myself how difficult it is to source certain ingredients when you move to a place where it's not the norm. I appreciate how you come up with alternatives. Additionally, if I cooked things the way my mother did growing up, I would have a very full cupboard of ready-made flavour sachets, long-forgotten only-used-once premade sauces and a vermin/insect problem in the kitchen - she's not really learnt to cook until much later in life (long story) where she's finally got the time. Sometimes you just need to redefine or start new traditions. PS: apologies, I've spelt gomae-ae as gomae. Will be more careful next time. I have been reading your site for several years now, and even though I live in Japan and have plenty of Japanese cookbooks written in Japanese, I continually come back here for recipes and ideas. Not only because it is in English (which is a big plus when coming home after a long day at work) but because the recipes are reliably good, authentic, and easy to understand. Some of them have become staples in my family and are used quite frequently. Please continue to post authentic recipes the way you've been doing it. PS - Do you have any uzura-mame recipes? I just recently bought a 10 kg bag from a farm in Hokkaido for when I cook Mexican food but was wondering if you had any Japanese recipes for them. I lived in Japan for a few years and cook Japanese food regularly, but I still found the course to be incredibly useful and interesting. Loved the layout of tableware--I was never quite sure how to set the different dishes, as most cookbooks don't show that visually. The course also inspired me to try new/different recipes. I am lucky I live near an Asian market and have easy access to most ingredients. Thanks for everything you do--have read your blog for years and it's one of my favorites. By learning the "fundamentals" from you these past few years, I've been able to incorporate them into my own cooking and make wonderful, tasty food without even glancing at a recipe. I can make Japanese soup bases like a pro! I can improv miso soup based on whatever I have in my fridge! I can onigiri my way to a picnic lunch in no time! Knowing the basic, from-scratch way to make things frees you up to modify recipes and make things on the fly, as opposed to relying on store-bought mixes and things that you may or may not have (or have on hand). I wanted to tell you that one of the best food-related moments of my life was when a friend pointed me to your blog! As (yet another) someone who lived in Japan for a while I was delighted that I could use your recipes to recreate the flavours that reminded me of so many noisy school lunches with my students and happy dinners at my friend's homes. I often go to cookpad.com but it can be hard to find good comprehensive instructions on the basics, more so now that I live in rural Canada and can't find most of those easy ready-mixed sauces or hard-to-find ingredients you mention above. So I always check here first when I remember some food I want to try and make. I was super-excited when I saw you were doing a Japanese Cooking 101 and it has been so helpful (and fun!). Thank you so very, very, very much for all your hard work! Please ignore the jerks and just keep on being your amazing self!!! People in Tokyo may not always eat this way, but having spent years living out in Tottori, I can say unequivocally that people there absolutely eat this way. Sure, there are convenience foods, and they're used, but not nearly as much as the homemade variety (one of my closest friends has a recipe for dashi that is to die for; I've never tasted anything as good). I've even known people who actually make their own shoyu. I'll never understand the need that some people have to rain on other people's parades; for me, this site is such an invaluable resource, and while I haven't gone through the 101 lessons yet, I've got them all saved for when I have the time. Thank you for all that you do. Unfortunately, we have a saying in America that "no good deed goes unpunished," and I'm sad to see that your laudable efforts are no exception. Maki, I've benefited tremendously from the course and from the site as a whole. Screw those people. Maybe they can fill their bentos with their own idiotic vituperation from now on. For the rest of us, domo arigato gozaimasu for all of your excellent work. Don't listen to the haters, Maki. I think a lot of us, as you've correctly pointed out, appreciate learning the nuances of japanese cooking from the ground up. I must admit I used to cook using a lot of pre-bought sauces for the convenience and the lack of knowledge (some of which are bolognese sauces, and yes the dashi granules). But, as I grow older and developed more cooking skills, I now try to cook food as authentically and naturally as possible, ie. no more pre-bought sauces! You'd be happy to know, that I have actually cooked (and love) some of your japanese cooking 101 recipes, like the teriyaki salmon (substituting sugar with honey), making dashi from scratch, making miso soup with the dashi. I've also gutted small sardines from your tip on how to gut small fish (really good tip!). So please accept this long-winded comment of mine as a little token of my appreciation. As of writing this, there are 74 comments, and though I haven't read every single one, it looks as though they're all in the positive, you're doing well vein. So I suppose my comments here are rather superfluous. But I wanted to add my two cents, and say thank you for writing such a wonderful blog, and for taking the time to put together a well-thought out Cooking 101 series. What a great idea, having all of the basics in one place, a foundation on which to build. Of course not everyone cooks everything from scratch in Japan, and not everyone knows the basics. It's the same there as it is in the US (or many other countries.) But for many of us, even if we don't start completely from scratch every time, it's good to know how to do so. Keep on cooking, writing, and instructing. Thank you! Maki, thank you for all you do for the Japanese cooking community, especially for those living in Japan who are vegetarian, vegan, gluten-free and need help making their own food. Your blog is a treasure. If you had titled the series "how to cook like a contemporary Japanese 30-something" that would be one thing, but this series did what it said on the box: how to make Japanese food from scratch. Keep up the awesome work! I'm so glad you're back. Oh gosh. Really? Why bother visiting your website instead of just asking his/her friends how to cook then? It's thanks to you that I can cook at all! I live in a country with plenty of Japanese expats & even then, the rice I cook is easily on par with the Japanese chef here because you bothered to teach me how to do it properly! My boyfriend thanks you every time he eats my cooking since most of it is based off your recipes or techniques! And making food from basic ingredients always turns out better. The entire family (other than the grandma who is stoutly chinese cooking only) refer to your recipes. My godmother was so worried about you when you stopped posting while you were sick. Don't listen to those soursops. You don't have to explain yourself to them. Keep cooking, and keep posting! I especially loved the posts you did on restaurants & food in Japan. It would be great if you could do more of those posts & even some on travelling within Japan (or even France or wherever else you lived & travelled. You lead a very exciting life!). I couldn't get tickets to Studio Ghibli last month & I was so disappointed. I'll go through JTB to book my hotels next year so that I can get tickets in advance. Thank you so much for your guidance to traditional preparation of Japanese foods. Clearly, many people living in "industrialized" nations do not cook their food with traditional ingredients or methods. It it equally clear that those shortcuts leads to poor health and contributes to "lifestyle" diseases like diabetes and heart disease, perhaps even to some cancers. I think your writings are a great contribution to both the joy of wonderful flavors and also to long term good health. I heartily applaud your efforts! I find it sad-yet amusing- that anyone would be so obnoxious. After staying with my friend's very traditional rice-growing family in rural Kumamoto, I became obsessed with recreating his mother's dishes as close as I could. She spent hours in the kitchen, cooking with beautiful homegrown rice and veggies traded from neighbors. I always embarassed her with my praise and admiration haha. Anyways, your site has helped me greatly and explained many things that I lost in trnaslation from Japanese cookbooks and mothers. Love your writing, love your recipes, love your site!! When I move to Japan, I won't have to eat solely at 711 and Lawsons :-p Many thanks, and much respect. I love this course, and though I have only been reading the articles and haven't had the time to actually do the cooking, I think I have an even better appreciation for Japanese cuisine. And I've been cooking my rice following your method for about a year now, and it definitely makes for much better tasting rice. Bottomline, I love this course. Thank you very much for taking the time to write and share this with the rest of us. How long does store-bought (konbu) tsuyu concentrate keep in the fridge?